SALEM, Ore. -- Health officials in Oregon and Washington said Monday that people should protect themselves against mercury and PCB contamination by limiting consumption of certain fish species from a 150-mile section of the Columbia River. The Oregon Health Authority and the Washington Department of Health said people should eat no more than one meal a week of resident fish -- those that live year-round in the same place -- between Bonneville and McNary dams. Resident species in the Columbia include bass, bluegill, yellow perch, crappie, walleye, carp, catfish, suckers and sturgeon. A meal is about the size and thickness of one's hand. Officials also recommend not eating any resident fish taken between Bonneville Dam and Ruckel Creek 1 mile upstream. "We've suspected for quite some time that there may be contamination in the Columbia River, and the thing that was missing was measured data," said Dave Farrer, public health toxicologist for the Oregon Health Authority. The states said they're unsure how long the advisory will last. Officials advised against eating any fish near the Bonneville Dam after researchers measured extraordinarily high levels of PCB contamination in resident fish there. The most contaminated sample measured 183 parts per million, Farrer said, and the threshold for an advisory is 0.047 ppm. Mercury and PCBs build up over time. Developing fetuses, nursing infants and small children are most vulnerable to their negative health effects, so it's especially important that women of child-bearing age heed the advisories, officials said. "The message isn't to not eat fish at all," Farrer said. "We want people, especially pregnant women, to eat fish. We just want them to choose fish correctly. We hope these advisories are a good tool to help them." Native American leaders called on the state and federal governments to focus on improving water quality, noting that members of Columbia River tribes rely on fish for a substantial portion of their diet. "Rather than addressing the contamination, we are being told to reduce our reliance on the Columbia River's fish," Yakama Nation Chairman Harry Smiskin said in a statement. "This is unacceptable. The focus should not be 'Do not eat.' 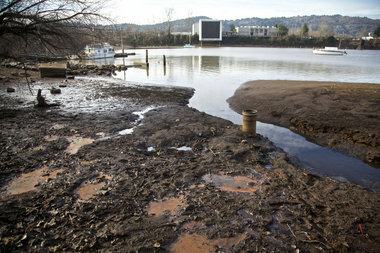 It should be 'Clean up the Columbia River.'"